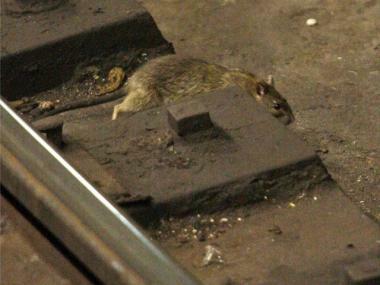 Scott Stringer said city budget cuts to the Health Department have led to a rampant rodent problem. DOWNTOWN — Manhattan Borough President Scott Stringer warned of a "horrific" rat invasion plaguing New York and accused the Health Department of making the problem worse Tuesday after cuts to the number of pest control officers out on the street. But Mayor Michael Bloomberg dismissed the concerns, saying "the city is doing a great job" combating the pests. The number of pest control complaints in the city has jumped 1.5 percent since last year, when the Health Department slashed the number of agents as a result of budget cuts, the Daily News reported. "You don’t slash the ranks of public health workers on the front lines of an epidemic," Stringer said in a statement. Stringer described the city's decision to terminate 63 pest control workers last year as "an absurd decision that could only be welcomed by New York’s huge rat population." City Councilmembers and union leaders joined Stringer Tuesday to rally for a new crackdown on the vermin at Mitchell Square Park in Washington Heights, which Stringer's office reported has the city’s highest rate of rat infestation. But Bloomberg dismissed their call at a press conference downtown, arguing that overall complaints to 311 are also up. He noted the city has recently changed its approach to rat control, targeting entire neighborhoods instead of individual lots, which the Health Department has said is a more effective approach. "Unfortunately some of the elected officials just aren’t as informed as I’d like them to be about what we’re doing. And I think if they realized what we were doing they’d be big supporters," Bloomberg said. In the past year, residents have complained about rats in neighborhoods throughout the borough as well as in the subways. Fitz Reid, president of the union that represents the city’s Pest Control Aides, said five of the eight pest control aides responsible for Manhattan were laid off last May as a result of the cuts.